Drake + Archaeomancer + Displace and/or Ghostly Flicker is also infinite mana. What do you think of Wild Pair ? 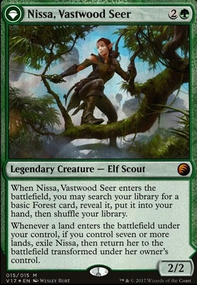 I just found out about this card and it seems like it would be amazing in a creatures deck. 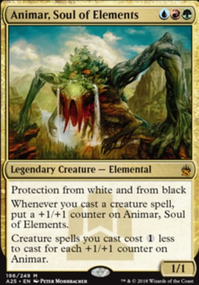 Although you won't get land search triggers from Karametra's ability, all of your cheated creatures will still get ETB triggers. 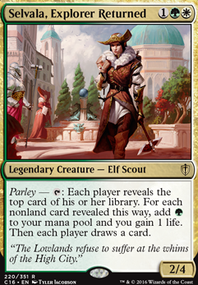 Bramble Sovereign also could do some good work with a lot of other creatures around, especially creatures with ETB effects. 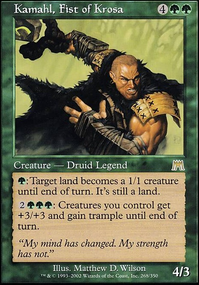 Kamerot are you familiar with Bramble Sovereign ? can you pay 2 multiple times to create multiple tokens? AkaAkuma on Reyhan&Ishai | Where Unstoppable Meets Immovable! @Last_Laugh: interesting suggestions. Most of them actually have been in here, but scrapped for other cards. I have a Bramble Sovereign reserved for this deck, but in the end it never got in. The only reason why is because he only works with ETB and not existing creatures. But he indeed is very good here! Fathom Mage has been scrapped one update ago for Guardian Project . 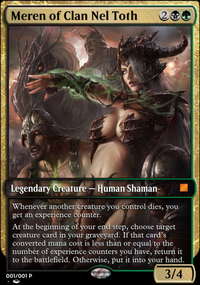 She definitely is amazing and would be the 101st card included but the issue is that her card draw is not reliable. I end up drawing 20 cards when I'm ahead or none because her power is to high. 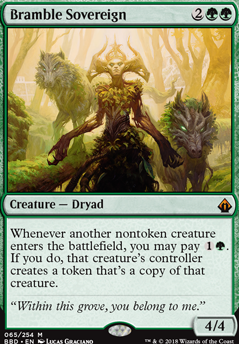 Most creatures of mine enter as a 1/1 anyway. I actually lost and won once with Walking Archive . Strategy is to dump a library worth of counters on him in your end step. But one opponent flashed a Laboratory Maniac in play when I did that a second time.. Just my luck. Rishkar, Peema Renegade yes he is a beast! Also a scrapped and reserved card in the deck. I think I can do without. Might re include him. 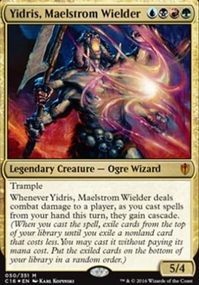 Mazirek, Kraul Death Priest has been on my radar allot. But I think I'll need to run Dictate of Erebos sorta cards along with it. Not really the direction I want to go, but definitely good! Shalai, Voice of Plenty : I skipped her for a reason. 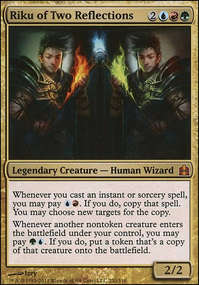 Since ravnica I was able to pick up a Privileged Position and found shalai looking terrible on her first inspection (why would I ever pay 6 mana to..!?). But perhaps she is a good addition! I'll test her. Thanks man, the suggestions are much appreciated. I'll definitely check your deck out! @DrowZgam3r: thanks for your suggestions and compliment! Sheoldred, Whispering One is very strong, and even more oppressive! Never have I had a game where someone played her and everybody celebrated with dance and joy. People have scooped a game because of her. But perhaps if I play a compatitive game! Rancor interesting you say its not fitting for edh. To me it's an evasive effect that permanently effects my boardstate. But I might look for a replacement.